Guests to a new luxury spa at one of London’s most famous hotels are relaxing in comfort after the installation of the environmentally friendly underfloor heating system, Schlüter®-BEKOTEC-THERM, by Schlüter-Systems. 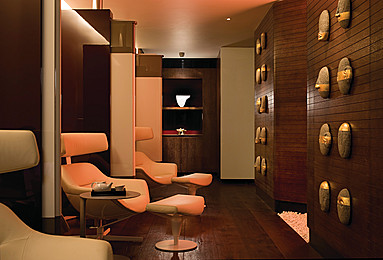 Referred to as the most dazzling urban spa in the entire country, the new extravagant facility at The Four Seasons hotel on Park Lane is located on a 10th-floor rooftop retreat. 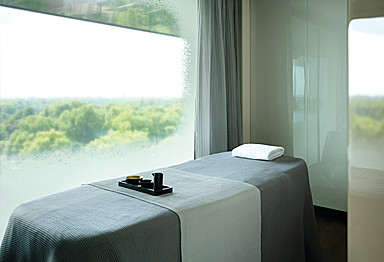 Its design, which incorporates many different sloped areas, curved walls and curved glass, has seen Schlüter®-BEKOTEC-THERM installed throughout its nine treatment rooms, steam rooms and saunas, many of which have magnificent views over London. 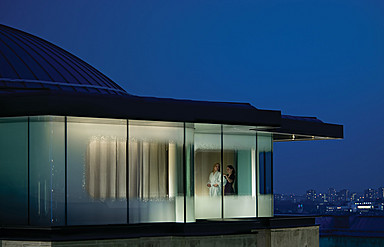 The Four Seasons is not the only luxury address in the capital to feature Schlüter-Systems with products from its extensive portfolio also keeping tile installations at their best at both One Hyde Park – thought to be home to the most expensive apartments in the world – and the new five-star Syon Park hotel in West London from the Waldorf Astoria group. From a construction perspective Schlüter®-BEKOTEC-THERM is quick to install due to less material being used than in other systems; highly durable, with loads in private and commercial buildings up to 5kN/m2; and has proven suitability, with damage free practical application for several years as certified by a number of independent institutes. As well as its performance and ease of use, what makes Schlüter®-BEKOTEC-THERM really stand out from the crowd is its five year assembly warranty. Unlike other systems, which just provide component warranties, Schlüter®-BEKOTEC-THERM customers can have the peace of mind that our warranty covers the whole floor assembly therefore adding additional safety and benefits to this innovative system.